Man Assautls Livingston Police and Runs, Then Gets Caught, LIVINGSTON, September 16, 2014 - At approximately 10:20 pm on on September 15, 2014, the Livingston Police Department received information on possible drug activity at the Ridgecrest Apartments located at 901 Forest Hollow. The alleged activity was being carried out by several black males who didn't live on the property. When Officers arrived, they located one such male standing in the parking lot at the apartments. As officers questioned the man, the man stated that he lived on the property, but couldn't remember or provide his apartment number when asked by the officers. 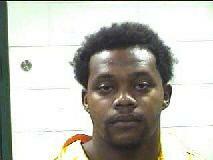 The investigation continued and the male was identified as Devonte Dashawn Becks, 20, of Woodville. During the course of the investigation, Becks struck one of the police officers in the face with a closed fist and fled from the officers on foot. The officers gave chase and were able to apprehend him shortly thereafter. During the apprehension, Becks continued to use force against the officers while being placed in hand restraints. The officer who was punched sustained injuries to his face and hands as a result of the assault and resisting arrest. Devonte Dashawn Becks was placed under arrest and charged with assault on a police officer (felony), evading arrest or detention, resisting arrrest search or transport, and violation of City Ordinance - Loitering.